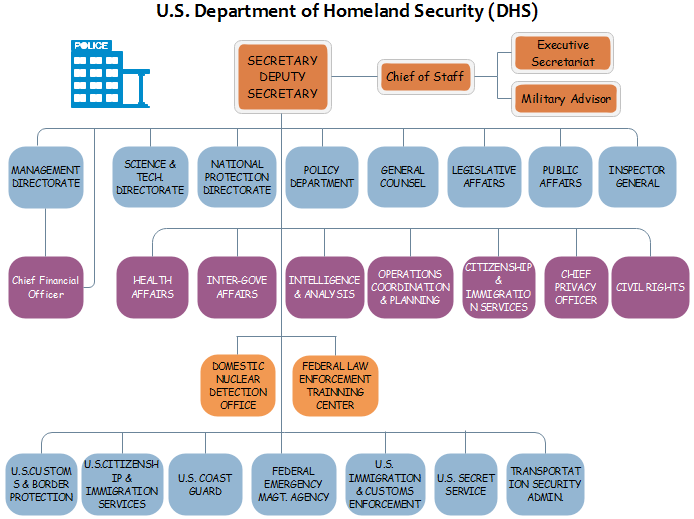 A DHS Org chart example means the organizational framework of the United States Department of Homeland Security. It is currently the youngest cabinet division of the American federal government. The key duties of DHS covering dealing issues of public security, anti-terrorism, immigration and customs, and disaster prevention. DHS was created according to the serious September 11 attacks. Below you can see one of the DHS org chart examples. Do You Know All These Divisions in A DHS Org Chart? CBP has the biggest scale in terms of all the federal law enforcement DHS agencies. The primary mission of CBP is to safeguard United States borders, protecting the public from dangerous resources, and strengthening the American economic competitiveness in the worldwide trade market. Other related duties of CBP are: enforcing U.S. regulations for domestic trade, customs, and immigration. DNDO is founded in 2005 in order to improve the nation’s capability to monitor and report unauthorized attempts. All the nuclear or radiological material will be processed by DNDO for checking any uses against the nation. DNDO carry outs its own research and development process for national nuclear and radiological technologies. Besides the department offers support for training and assessing protocols for both federal and non-federal agencies. FEMA is an agency of the DHS that originally established by the Presidential Reorganization Plan. The primary purpose of the agency is to coordinate the response to a disaster that has occurred in the U.S. homeland. The division plays a role as an interagency law enforcement training body for all the American federal law enforcement agencies. Dominant duties of the center are to offer training to state, local, campus, tribal, and global law enforcement agencies. American offices and agencies can benefit from low-cost training from the FLETC. The agency is responsible for developing intelligence by managing and analyzing different issues of intelligence throughout the entire DHS. I&A responses daily tasks to the state, local, and tribal level. This DHS component performs a large number of administrative functions. 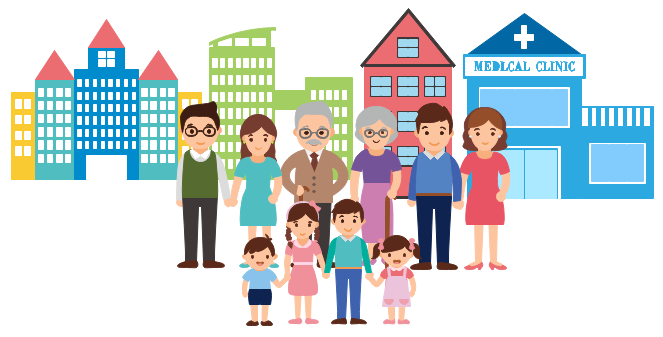 USCIS aims to promote national security, to eliminate immigration cost, and some other related issues. The officer of USCIS reports directly to the Secretary of Homeland Security. Wanna Create the DHS Org Chart Example? Just check Org Chart Creator for more details Alternatively, feel free to try this easy org chart creator for more advanced settings and management of your business teams.